Rolex watches are designed to last a lifetime. With proper care, your Rolex should continue to perform just as well as it did when you first purchased it. Luckily, Rolex watches do not require a lot of maintenance. There are just a few simple steps that you need to follow to keep your watch in perfect condition, here are some great tips to get you started. The Rolex watches available from Kalmar Antiques in Sydney, Australia are mechanical watches. These watches do not require a battery to run. Mechanical watches are powered by the mainspring which keeps the watch functioning if you continue to wear the watch each day. However, you may still need to wind the crown once a day. You also need to wind the crown when changing the time, setting the date, or setting the time after not wearing the watch for a while. When you adjust the crown, you always need to ensure that it is tight and secure. Keeping the crown tight prevents water and moisture from penetrating the inside of the watch. While moderate moisture may not immediately damage the watch components, it can increase the risk of mold growth. 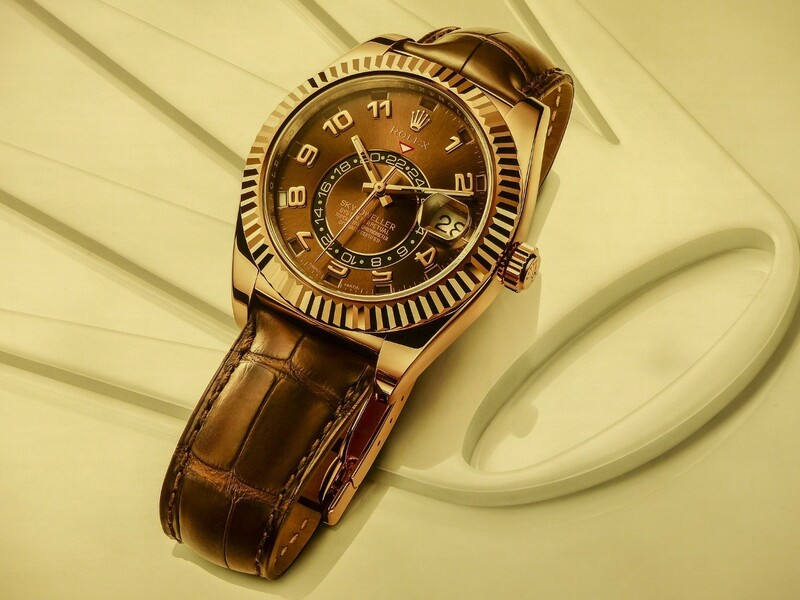 Rolex watches are among the most sought-after watches due to their craftsmanship and quality. Also they are waterproof up to depths of 100 meters if you keep the case properly sealed, This requires you to make sure that the crown is tightly screw down . Another reason that Rolex watches are some of the most in demand time piece is their style which are beautifully designed. However, dirt and water spots can take away from the appearance of the watch. As your watch becomes dirty, you simply need to clean it with a microfiber cloth to remove dirt, dust, and smudges. If the watch collects any dirt that cannot be removed with a cloth, you can carefully clean the Rolex with soapy water. You should use caution to avoid soaking the watch. Get a cloth damp with soapy water and then wipe down the surface and the metal bracelet. However, you should not use soapy water on leather straps. There are retailers and dealers that have a great selection of Rolex watches with leather straps, including vintage watches. To clean the leather straps, pat it down with a damp cloth. To avoid shrinkage, the leather should not be soaked. Following these tips should help you protect your Rolex from damage. However, accidents can occur. If your Rolex gets damaged, you should not attempt to repair the watch on your own. These sought-after antique and modern pieces require professional repair from a qualified Rolex service centre. To recap - continue to follow these tips to protect your Rolex against scratches, water damage, mould growth, and other types of damage. Clean it regularly with a microfiber cloth, keep the crown secure, and store it in a protective case at night.